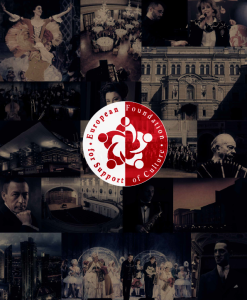 The European Foundation for Support of Culture (EUFSC) is a non-profit organization founded in Malta in 2012 to initiate and promote cultural and educational projects in Europe. A key objective of the Foundation is to introduce broad public access across Europe to the most prominent facets of world musical and cultural heritage. In pursuance of this goal, every year the Foundation holds numerous festivals, competitions, exhibitions, conferences, presentations, master-classes, workshops, round-tables, concerts and other events seeking to support and promote culture, to inspire interest in various types of modern art and to support young talented musicians and gifted children. Another important role that the Foundation plays is to highlight and promote Maltese composers, musicians, ensembles and orchestras. The Foundation puts special emphasis on promoting classical music. It organizes numerous music events in Malta and beyond – in Germany, Italy, Austria, Latvia, Russia, China, Japan, U.S.A., Kazakhstan, Armenia, the Czech Republic, Spain, France and other countries. In Malta, the European Foundation for Support of Culture collaborates on a permanent basis with various institutions, such as the Embassy of Belgium, Embassy of Turkey, Embassy of Italy, Embassy of the Russian Federation, Embassy of Austria, German-Maltese Circle, Italian Cultural Institute, Russian Centre of Science and Culture, Chinese Cultural Centre, Ministry of Justice, Culture and Local Government of Malta, Malta Tourism Authority, Malta Chamber of Commerce, Enterprise and Industry, Mediterranean Conference Centre, Astra Theatre, the Catholic Institute, Barocco Foundation, Malta Philharmonic Orchestra Academy, Malta School of Music, Brigitte Gauci Borda School of Dance, Arts Council Malta, Programme for Promotion of Creative Development of Children and Young People, St. James Cavalier Concert Hall and many others. Since its inception, the Foundation has registered an unprecedented portfolio of festivals, international music competitions, concert series, world premieres, ballet productions, exhibitions and a host of other cultural events in various countries across the globe. Among the most noticeable events are the sponsorship of the 40th Jubilee Gramophone Classical Music Awards 2017 ceremony in London, the celebration of the 50th anniversary of diplomatic relations between Russia and Malta featuring a performance of a chamber orchestra made of musicians of the Moscow Conservatoire and the Malta Philharmonic Orchestra led by famous Maltese violinist Carmine Lauri and Russian conductor Felix Korobov, festivities in Malta to observe the 50th anniversary of diplomatic relations between Russia and Malta highlighted by the debut performance of the new Crystal Palace ballet show promoted by the European Foundation for Support of Culture and put on stage by dance directors and dancers of the Bolshoi Theatre and other famous Russian theatres, and the Khachaturian Music Festival and many other projects. The Foundation is a sponsor of the Malta Philharmonic Orchestra, with whom it often partners up to present music events. Education is also another important component in the range of cultural activities of the Foundation. The calendar of cultural events of EUFSC reaches its climax with the Malta International Music Festival which is traditionally held every Spring. Responding to EUFSC invitations, renowned performers and professors of famous European conservatoires, international stars of classical music, including pianists G. Sokolov and N. Lugansky, violinist M. Vengerov and others, come to Malta and feature in the festival.